The University of Saskatchewan recently started the process to come up with a vision for the recreation and athletic spaces and facilities on campus for the next 20 years. With the help of Cal Brook—an architect and planning consultant who led the development of U of S campus master plan in 2006, the College Quarter master plan in 2009, and Vision 2057, a plan that guides the development of the university's land within Saskatoon—the university is attempting to map out the ideal mix of space and facilities to enhance the student experience at the U of S.
"The College Quarter plan has a combination of facilities mixed in with other uses that integrates the campus with the rest of Saskatoon," explained Brook, principal of Brook McIlroy. "As we started digging into the College Quarter plan, recreation, wellness and athletic facilities were really of great interest." Before plans for more facilities and spaces in the College Quarter take shape, he continued, there was a "desire to look at that in the context of everything the university was currently offering, from swimming pools and gyms, to fields and courts." The development of a plan for recreation facilities and spaces, he said, will take place in two phases, rrecreationwith a final report with recommendations to be completed by fall 2016. The first phase is the technical part, a review of the state of repair of existing facilities like pools and gyms at the Education Building and the PAC, and Griffiths Stadiums. "We're looking at, within 20 years, what repairs or changes will be required to either keep them going or even potentially replacing those facilities with new, modern facilities." This review, he explained, builds on the deferred maintenance work carried out by Facilities Management Division. The second phase, the "fun part," as Brook called it, has to do with a "visioning exercise with the entire campus community. Taking the ideas of active lifestyle, wellness and athletics and figuring out what the university could be in the future to embrace those themes." To that end, Brook and his team set up stations for three days all around the U of S to poll the campus community. Further feedback will be collected through an online survey. The plan, aspirational in nature, requires people to "think about how wellness and active engagement can be strengthened and be a focus of the campus experience. It's fascinating to see what's happening across North American campuses with an increasing emphasis on the qualities of student life that reinforce a sense of belonging and wellbeing." This emphasis on student experience, Brook continued, is "tied to the whole range of recreation and leisure activities—blurring the line between social and physical engagement—it's not just team sports anymore." Brook used Harvard University as an example where common space features outdoor fire pits, make-shift curling rinks and foosball tables, and lots of outdoor seating that is ideal for study groups or classes. "These common spaces support social engagement," he said. "Harvard had a real issue where many students, unless they were involved in sports, didn't have a way to come together; kids were lonely and isolated." 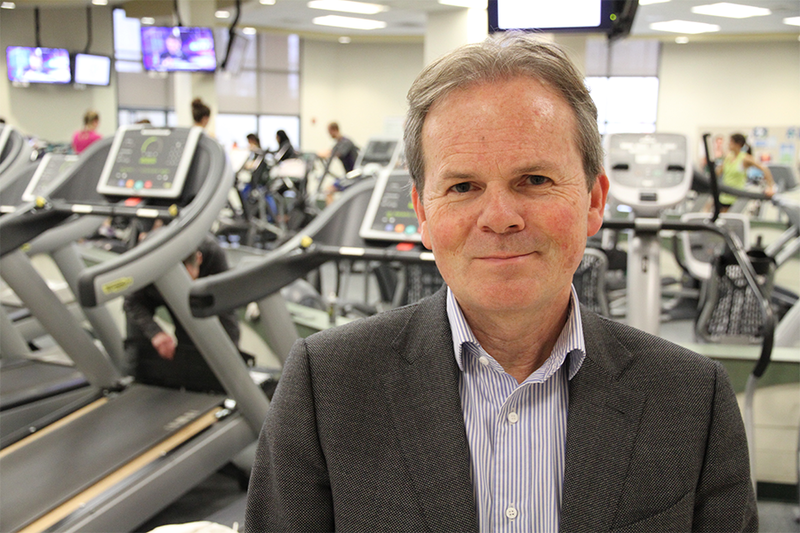 Another North American trend Brook pointed to is the idea of having fitness centres as landmark buildings on campus. "They should be prominent and very transparent so that you can see the activity and energy of the campus in those buildings. They can be a great recruitment tool." Brook said that the while the "PAC is a great facility today, as we think about planning for the future, we should think creatively about how to get the most out of recreation spaces and facilities." Out of the recreation plan, said James Cook, manager, business opportunities corporate administration, the university "would develop plans on how to accomplish the recommendations over a number of years and identify funding to do so." Related to recreation facilities, Cook continued, there is a lot of excitement in the community for a new twin ice facility in College Quarter. "A replacement ice facility is a high priority of the university's Board of Governors," Cook said. "We are moving forward working with our preferred partners and in consultation with the community, but no formal decisions have been made." How do you stay active on campus? Have your say in an online survey, available until April 1.